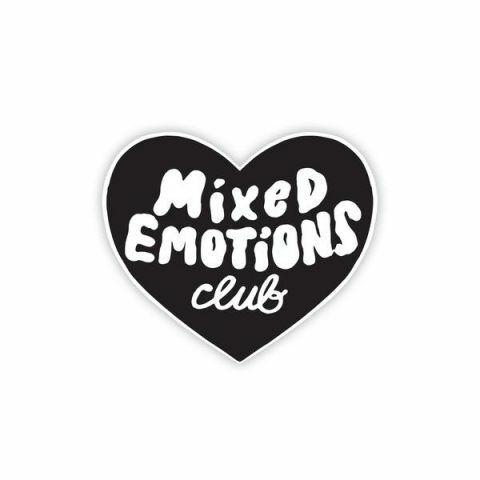 I am feeling this new Mixed Emotions Club Tattly by Tuesday Bassen. Sometimes we need a reminder. 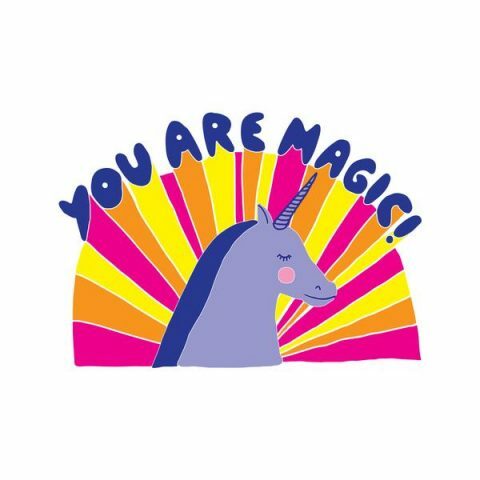 You Are Magic Tattly by Yellow Owl Workshop! 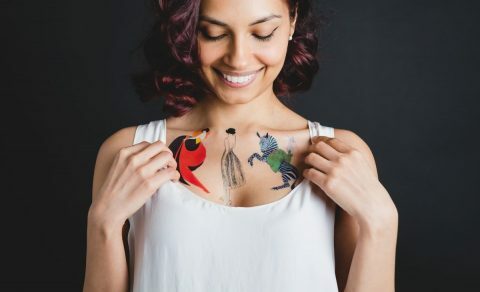 Tattly just launched two new designs by Estée Preda. 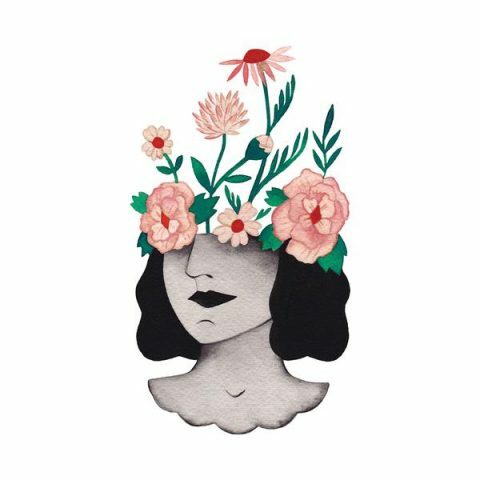 I am in love with this Flower Head. 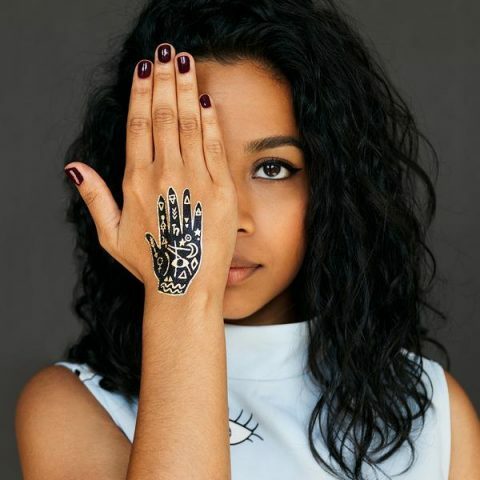 Team Tattly just launched Mystic Hand by Yello Owl Workshop. I am loving the new Mod Floral Tattly Set by Inaluxe. I am off to the Swiss Alps today! Posts might be lighter than usual during the next two weeks. But don’t you worry, I’ll be back refreshed early September! Dig into my archives to find some old gems by clicking on “Show Category Filters” above. Happy Summer everyone! 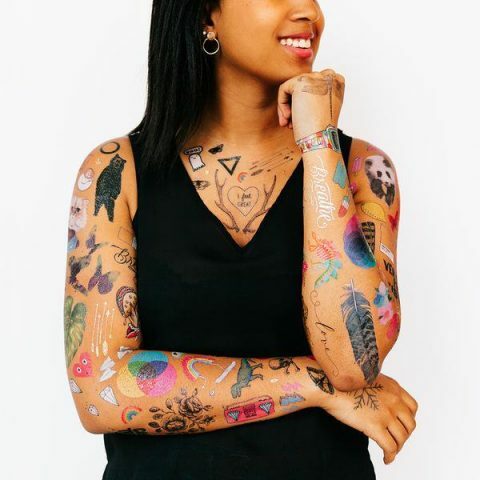 Every year Tattly celebrates the company birthday with a crazy 50% off sale. It’s happening now! Stock up on some gifts! We just came out with brand-new party packs. Check them out. 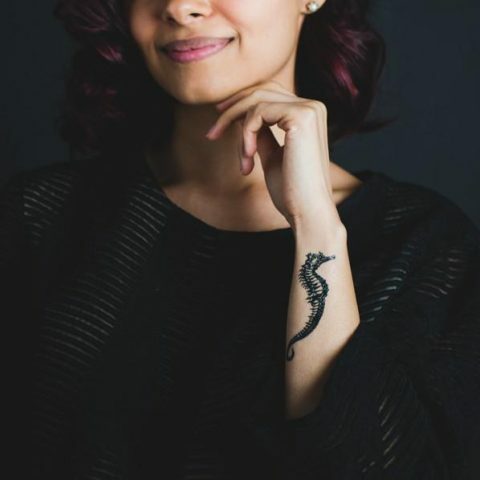 Tattly is turning 6! 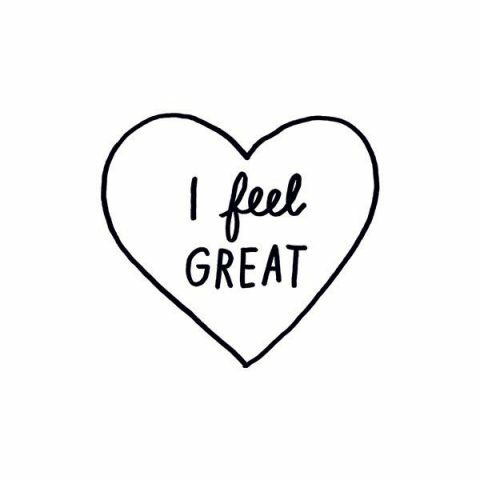 So many feelings! 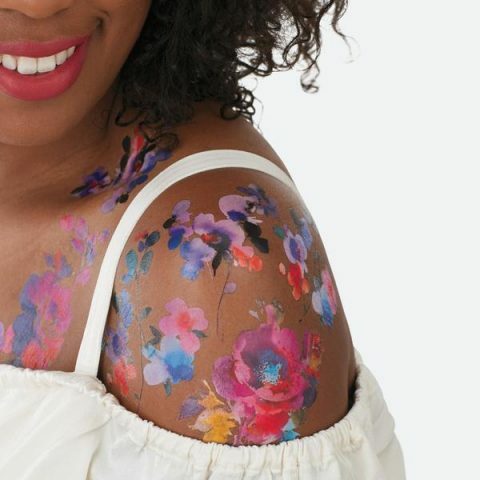 Did you know, that each time you purchase Tattly, a generous cut is going back to the artist? And when we say generous, we mean generous: We just reached a million in artist royalties! I am proud of my super hard working and fun team! Just like the past 5 years, we are celebrating with a totally nutso 50% off sale. Make sure to check out the brand-new packs that come in a small tin can and are perfect for any party: Floral Pack, Realistic Tattly Pack or the Funnest Tattly Pack! Happy our birthday to you! 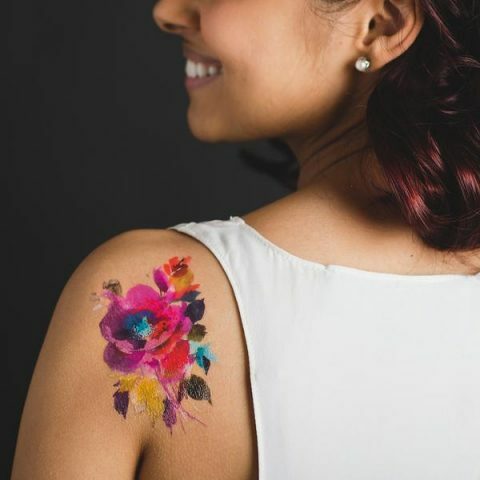 A few weeks ago Tattly launched Helen Dealtry’s Watercolor Flower Tattoos and I can’t get enough of them. I almost wish they weren’t temporary. 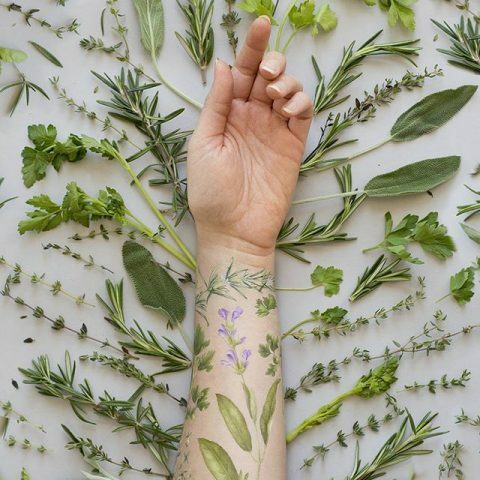 Yesterday team Tattly launched these herb scented temporary tattoos by water color artist Vincent Jeannerot. A perfect gift for all my cooking obsessed friends. Spring is in the air. 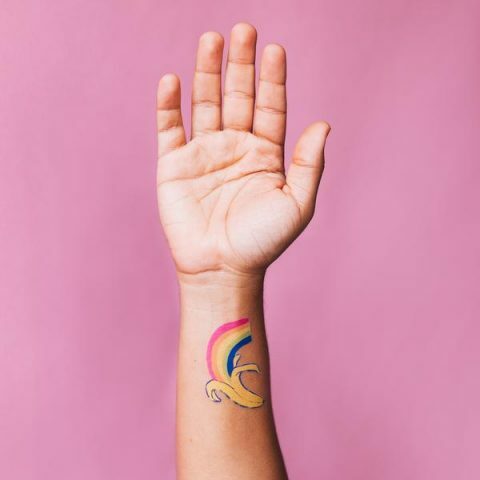 Take off those hats and roll back those sleeves so you can tatt up: Spring Sale over at Tattly: Get 40% off until end of day Monday EST with discount code 40SPRING. 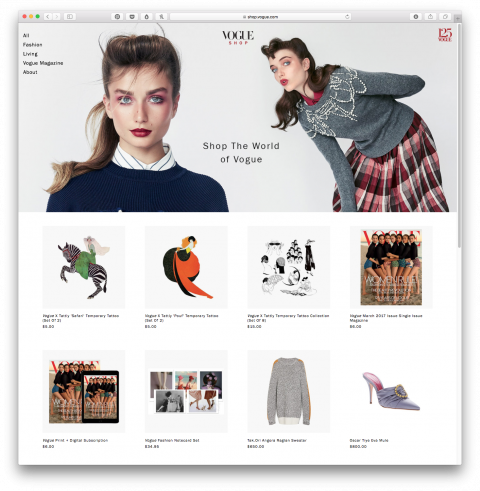 So proud of my team to see our Tattly featured in Vogue’s Online Shop! And now it’s here, we launched the Vintage Vogue Collection. 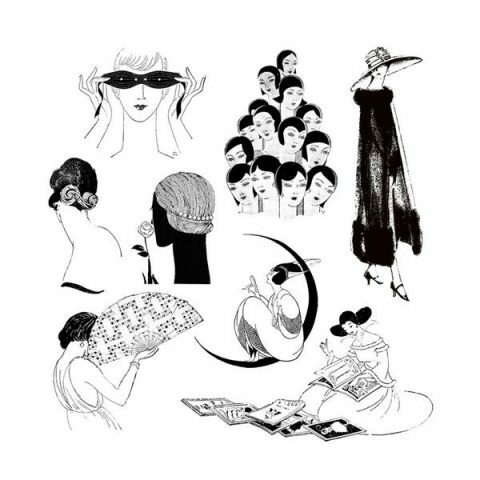 My team and I spent days going through their 125 year magazine archive and picked some of our favorite illustrations from the 20s, 30s and 40s. 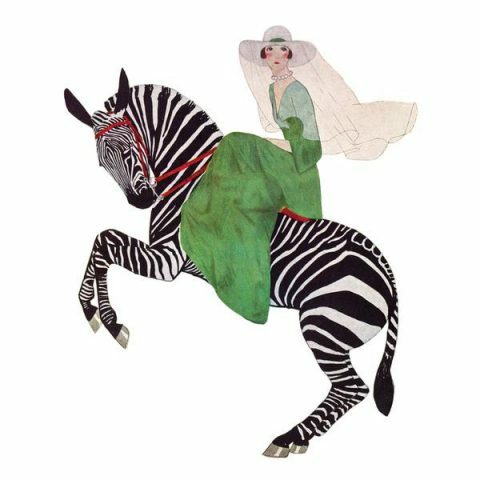 The lady riding the zebra, which is a Vogue cover illustration is definitely the one that won my heart. But the there’s also the woman holding up a mask in the Vogue Set that keeps making me smile. This is a limited edition collection, so get it while you can. 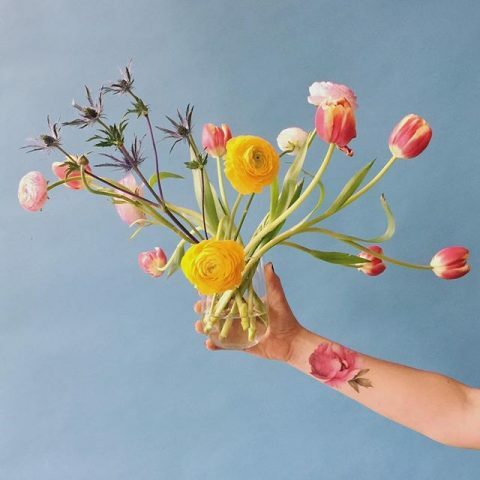 Trying to manifest some spring juju with these beautiful flowers and the scented pink Peony Tattly by watercolor artist Vincent Jeannerot. Go away snow! Go away! 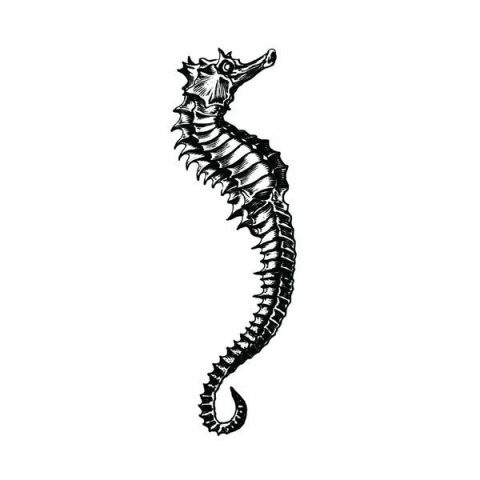 This Seahorse Tattly has won my heart. It’s part of the brand new Old Masters set called Natural Curiosities. It’s been almost 6 years since I started Tattly and launching new designs never loses its magic! 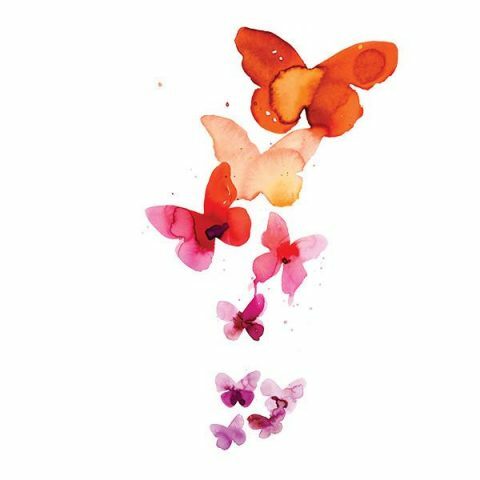 I am trying to channel warmer weather by wearing Stina Persson’s Watercolor Butterflies today. 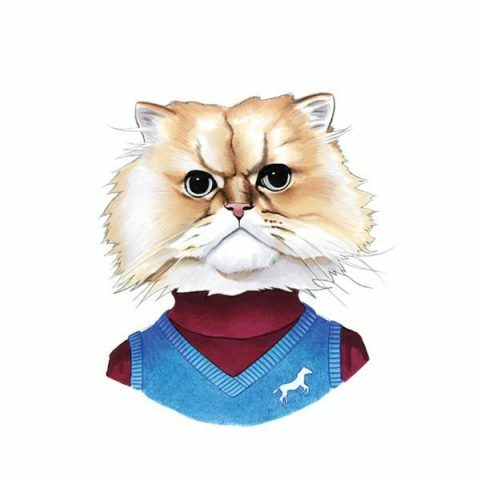 Tattly just launched Fuzzy Cat by Berkley Illustrations. Can’t help but smile at this one. 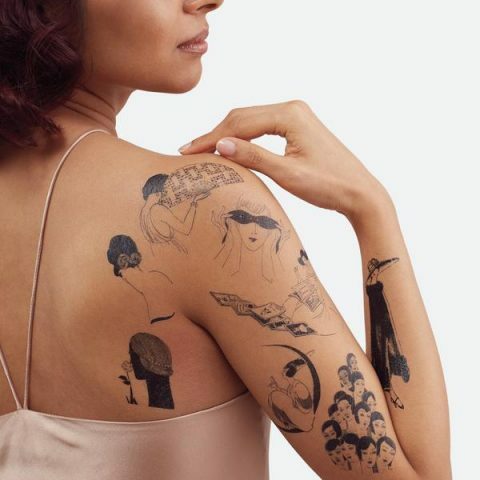 Tattly recently launched the biggest collaboration to date: A vintage Vogue collection. 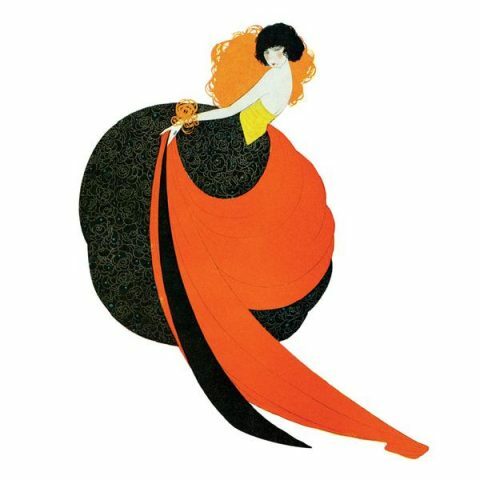 The illustrations, all from the early 1900’s, celebrate Vogue’s 125th anniversary! It is an incredibly honor to be partnering with a prestigious brand such as Vogue. My heart! 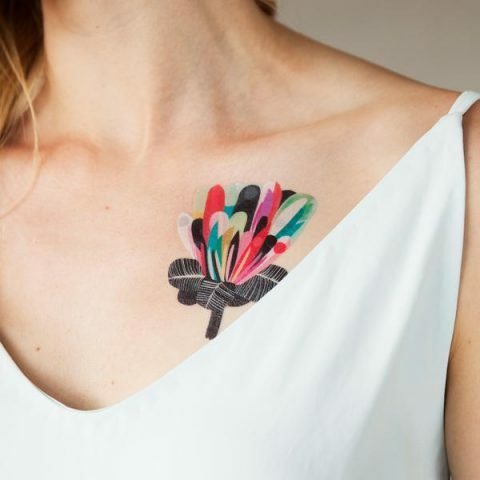 It’s been a wonderfully exciting week for team Tattly: In honor of Vogue Magazine’s 125th Anniversary in 2017, Tattly has partnered with the magazine to create a limited edition collection. 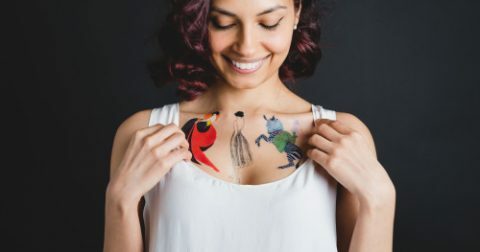 We spent hours going through their archives to find illustrations from the early 1920s, 1930s and 1940s that would make beautiful temporary tattoos. Have a look, we think they’re stunning. Remember! 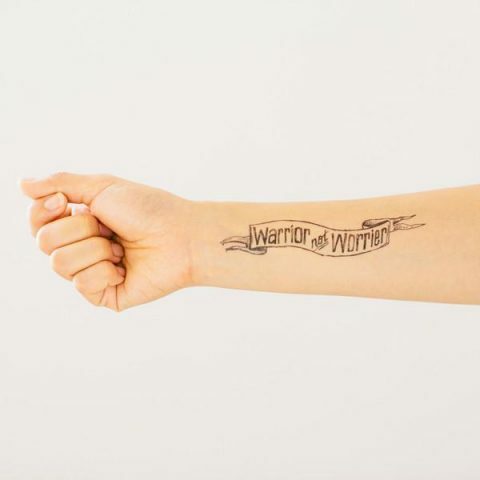 Be a Warrior not Worrier. Currently wearing this Adam J. Kurtz Tattly. 2017 is going to be GREAT! 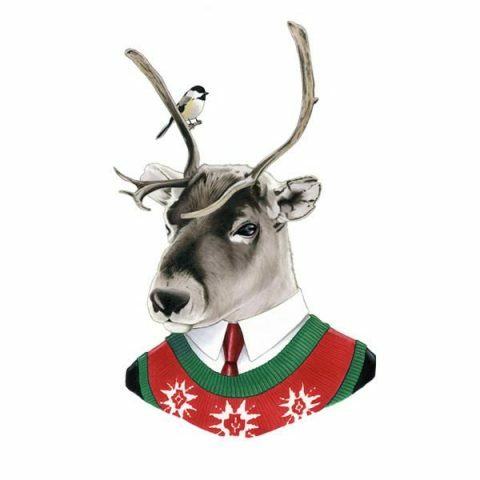 Oh deer, the holidays are just about here. You still have time to get a Digital Tattly Gift Card. It’s instant. People love to pick their own designs anyway. With a selection of over 600 designs it can be hard to chose for someone else.